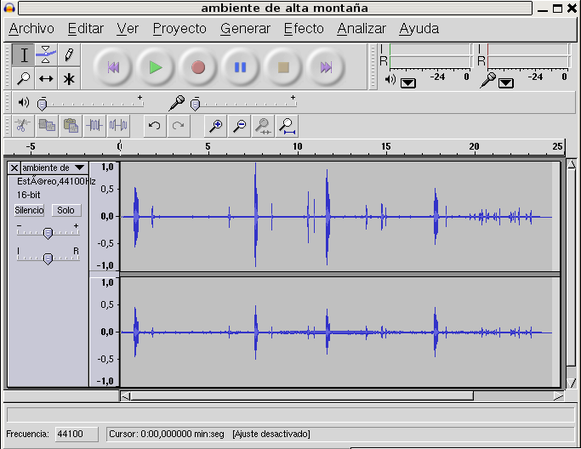 In this activity and the next one you are learning Audacity options to edit digital sound. 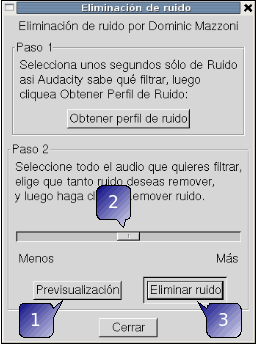 The task will be to remove the background noise from three audio files. 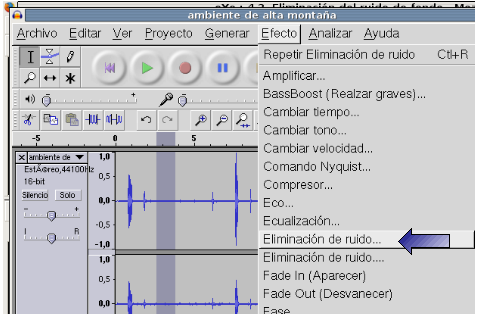 Using the selection tool select a place in the track where there is only noise, and no birds singing. 4. 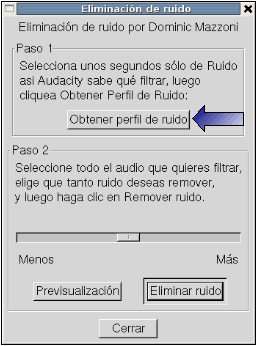 With the noise profile still selected clik on the menu Efecto / Eliminación de ruido ( the first one, there are two of them) and click on the button Obtener perfil de ruido. 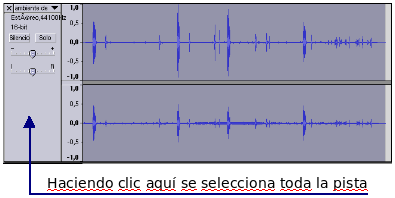 This recording is a Pau Casals' concert and ha been digitalized from an old vinyl record from the 30's. There's a lot of background noise. Try to remove it.